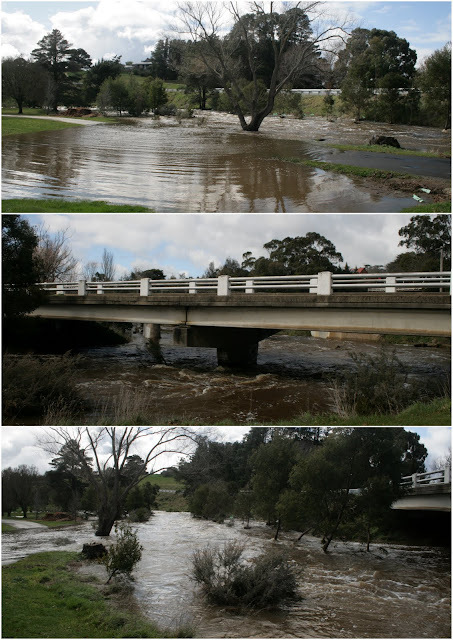 We have had more rain in the last few months that what we have had in ages. In August we had the highest rainfall in 130years. 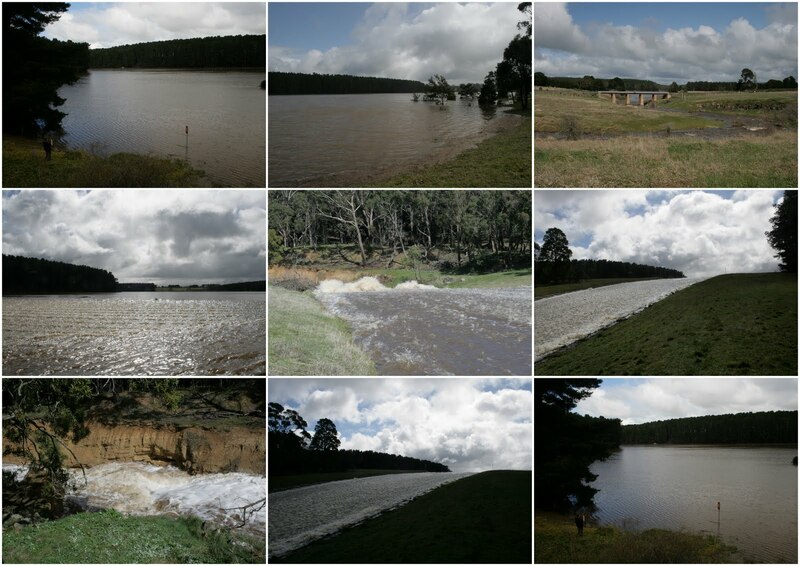 Our local reservoirs and rivers and finally starting to look healthy again. Something we didn't ever think would happen. 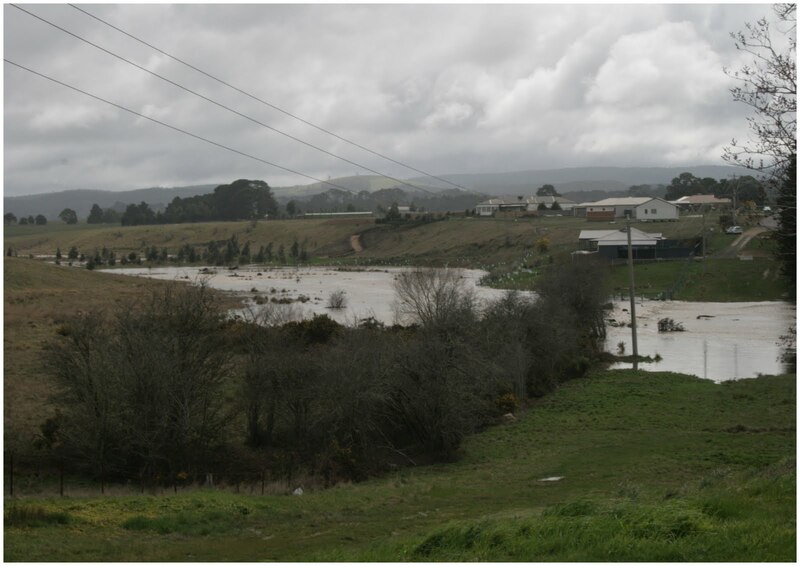 We may be able to fish and take the boat out in some of the local water systems if they keep filling. Last night we had gale force winds which resulted in losing power for about 13 hours. We had trees down everywhere over local roads. We lost the top of one tree in the front yard. It just snapped in half. Our gums have very shallow root systems due to the lack of rain and we tend to lose them easily in high wind. The ground is that saturated from all the rain that they are just toppling over. 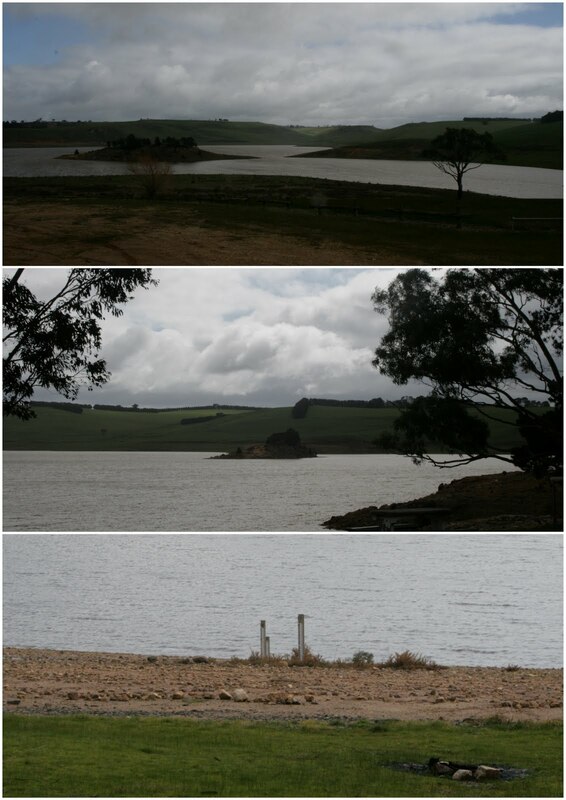 The first image is of Pykes Creek Reservoir. We finally have an island again after many years of the water level sitting at about 4%. It's currently sitting at 38%. One month ago it was only at 16% after all the winter rain this year.We are hoping to see boats and water skiers back here this summer if it keeps rising. The local golf course. 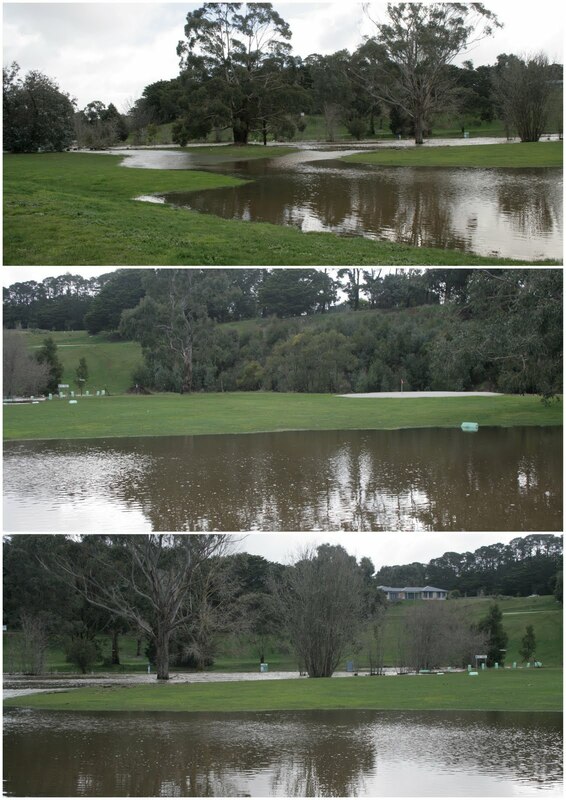 More a lake than a golf course. The local park well and truly under water. 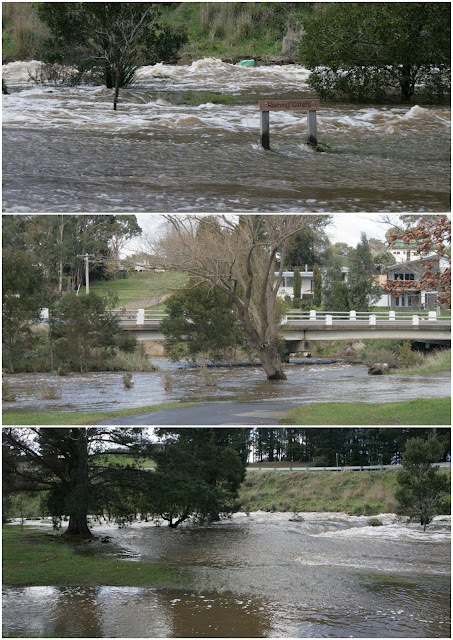 The river is normally only about 6 or 8 metres wide. 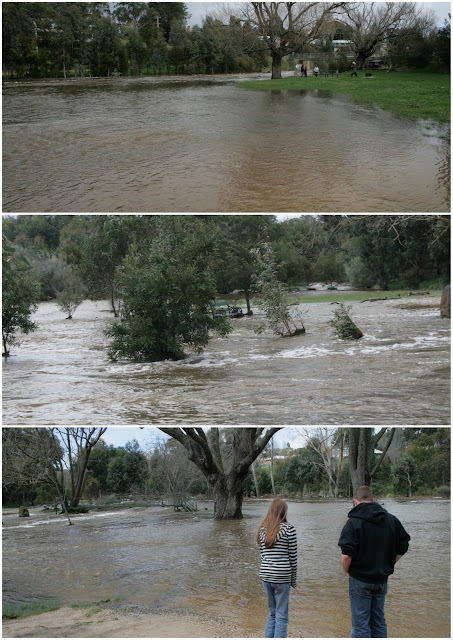 Check out the park bench in the second photo surrounded by trees. 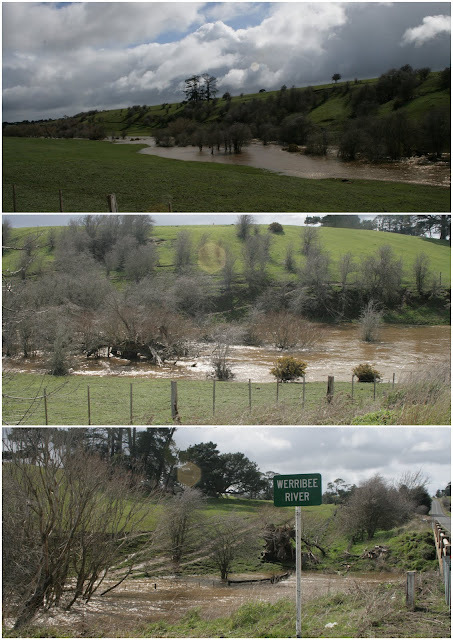 The river heading out of town. This is normally a trickle that often dries up in summer. In the background is the forest were we live. Bostock Reservoir, only weeks ago was at under 40% capacity and its now running down the spillway.The last time I saw this full was on Kady's third birthday when we came here for a bbq with family and friends. A local swollen river. So nice to see everything so full of water and lush and green.